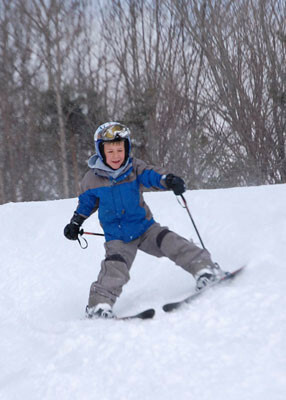 Snow Ridge is a ski resort located in Turin, NY, in the middle of the Tug Hill Plateau. The Resort averages a whopping 230" of annual snowfall each year. Skiers and snowboarders can enjoy 22 trails accessed by 6 lifts and tons of backcountry ski acreage as well. Snow ridge is surrounded by several towns that offer fine lodging establishments to accomodate overnight guests. The ski resort is also a member of the Professional Ski and Snowboard Instructors of America. Restaurant, cafeteria, bar, and lounge. Ski shop and chapel at the area with complete shopping services nearby. Ski school, rentals, and repairs available along with first aid, a nursery for children 1 to 4, and NSPS. Get Snow Reports, Powder Alerts & Powder Forecasts from Snow Ridge straight to your inbox!